SUMMARY: In her first days on duty in war-torn Afghanistan, British soldier and medic Elinor Nielson sees plenty of blood and death. Most disturbing, however, is the fact that the snipers ambushing her unit are young children. Among those young children is a beautiful girl in a blue dress who shows up at the firefights but seems to have no worry of being hit by gunfire. She gets hit by gunfire, bleeds, then appears to be totally unharmed. She disappears without a trace only to show up at the next fire fight. Together with Ben Jackson, a young American Navy SEAL, Elinor intends to track this mysterious girl to figure out who she and the other young snipers really are. REVIEW: I liked this one more in the beginning and end than in the middle. War books really aren't my thing, and there are lots of battle scenes, many ending in someone's bloody death. I love the way Ellie and her unit stick together, even after only being together a few days. Characters are drawn well; although there are several major players, their unique personalities make it easy to keep track of who's who. I love the mysticism of Aroush's identity and why she keeps showing up, even though it is pretty obvious early on what she really is (not sure if it was supposed to be that obvious, but it was). I like Ellie and Ben together and how they know better than to "fall for" each other in the middle of a war zone. Based on the Goodreads description, I expected more romance, but I'm actually glad it wasn't very prominent. When characters are under near-constant fire, it's kind of difficult to find time for smooching. Even so, I believed in Ben and Ellie together and like the way the story ended. David Massey's writing style makes it easy to get into the story. Action starts almost immediately, and Ellie's voice is engaging and genuine. 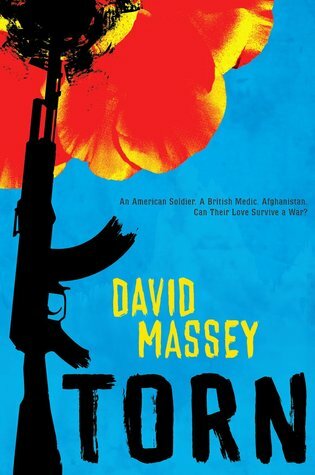 I've never been in the military, but I think Massey does a great job portraying war in a realistic and fair way. Random news articles and TV coverage of the war only tell us what happens over there; this book helped me to feel the lives of these soldiers. After reading this, I stand in even more awe of what our front-line soldiers go through every day. And I'm betting that's the point, isn't it, Mr. Massey? THE BOTTOM LINE: I recommend reading it, even if war stories aren't your thing. Massey's heartfelt writing style and sympathetic characters really bring to life a war that most of us will never experience firsthand. STATUS IN MY LIBRARY: We don't have it. Nearly all the characters are adults, and the combat scenes are bloody and intense. Some middle schoolers certainly can handle this, but for the most part, I think it's best for high school libraries. I'm thinking about buying this because there is so little on the war in Afghanistan, and this has cleaner language than the Myers. You are right about the violence, but most war books have adult characters. Definitely for high school, but would probably be okay for middle. @Ms. Yingling, I think lots of middle schoolers can handle it also. I would worry about a young student reading it if he/she has a loved one in Afghanistan right now--might be traumatic for them to see such a real portrayal of the danger they are in. Great comments, as always!